Federal agents arrested the men Tuesday, and prosecutors identified them as members of the Rise Above Movement, a militant white supremacist group they said espouses anti-Semitic and other racist views and meets regularly to train in boxing and other fighting techniques. 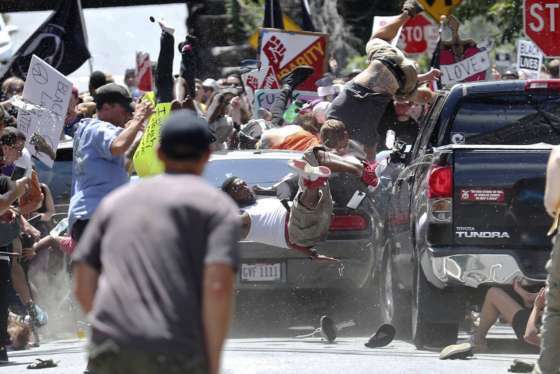 CHARLOTTESVILLE, Va. (AP) — Four California men described as “serial rioters” are facing federal charges after prosecutors say they flew across the country for a white nationalist rally in Virginia last year and violently attacked counterprotesters. An affidavit filed by an FBI agent alleged the defendants — Benjamin Drake Daley, Michael Paul Miselis, Thomas Walter Gillen and Cole Evan White — have previously taken part in violence at other political rallies in California. 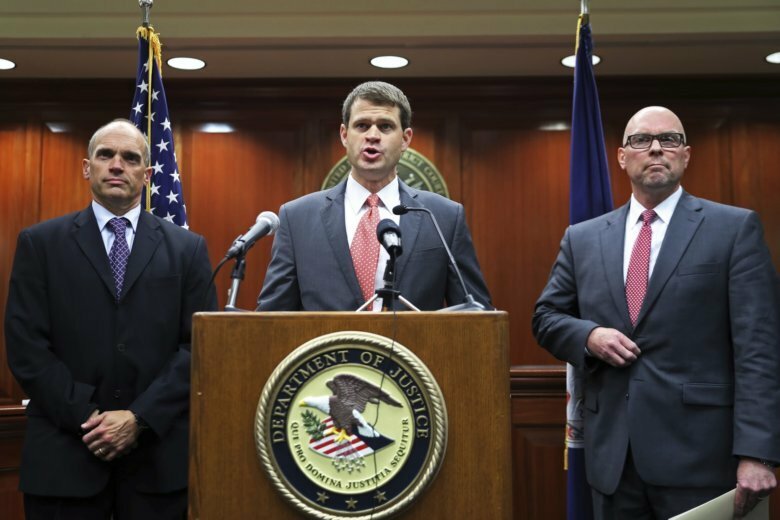 Last August, they made their way to the “Unite the Right” rally in Charlottesville with their hands taped, “ready to do street battle,” U.S. Attorney Thomas Cullen said at a press conference announcing the charges. A Los Angeles magistrate judge ordered Miselis, of Lawndale, to be held without bail Tuesday, saying he poses a threat to the community. During the hearing, prosecutors said Miselis and other members of his group traveled to Germany and the Ukraine to meet with violent white supremacists and that he had thousands of rounds of ammunition for assault-style weapons stored in his home. Miselis’ attorney, Angel Navarro, said his client has no criminal history and detailed how Miselis received a master’s degree at UCLA and had worked at aerospace giant Northrop Grumman. “What I’m concerned about is who he is now,” Magistrate Judge Jean Ronenbluth said. The detention hearings for Daley and Gillen, both of Redondo Beach, were postponed Tuesday. Their attorneys declined to comment on their behalf. White, of Clayton, appeared briefly Wednesday in federal court in Oakland and was ordered to return Thursday after his family hires a private attorney to represent him, said Abraham Simmons, a spokesman for the U.S. attorney’s Office. The four defendants participated in that march, Cullen said. The next day, more violence broke out between counterprotesters and attendees of the “Unite the Right” rally, which was believed to be the largest gathering of white nationalists in at least a decade. Street fighting exploded before the scheduled event could begin and went on for nearly an hour in view of police until authorities forced the crowd to disperse. Cullen said investigators sifted through “an incredible volume” of video and still photographs to review the movements of the four men and determine whether they could claim they were only defending themselves after being attacked by others at the rally. He said prosecutors believe there was “no provocation” for them to engage in violence that day. The four, he said, engaged in punching, kicking, head-butting and pushing, assaulting an African-American man, two women and a minister who was wearing a clerical collar, Cullen said. “They very much operate like a street-fighting club,” said Oren Segal, director of the ADL’s Center on Extremism. Associated Press writers Amanda Lee Myers in Los Angeles, Michael Kunzelman in College Park, Maryland and Olga R. Rodriguez in San Francisco contributed to this report. Rankin reported from Richmond, Virginia.